It’s that time of year again! 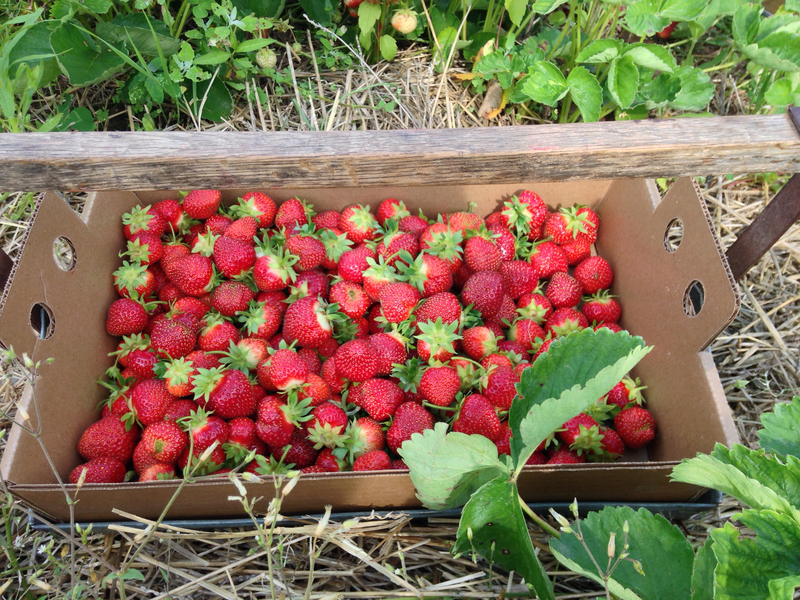 Strawberry picking from our local farm has become a favorite family activity. Nothing beats choosing your own berries, making memories, and eating fruit that tastes like candy! These make for the best jam, salads, and holiday treats. And what’s a holiday without a little cheating? 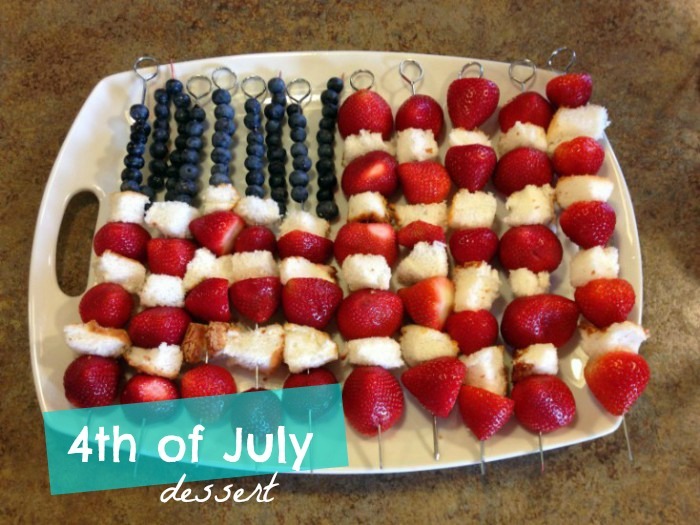 This 4th of July, enjoy a simple, light dessert that adults and kids alike will enjoy! Pair it with my Mom’s fruit dip and you’ve got yourself a treat. Your taste buds will thank you. And what better way to celebrate Independence Day than with a symbol of our freedom? Remembering those who sacrificed much so that we could live in safety without fear. America may have her many shortcomings, but she still is the best place to live! In a large bowl, blend sugars, vanilla, and cream cheese with a hand mixer until smooth. Cover and chill in refrigerator until ready to serve. 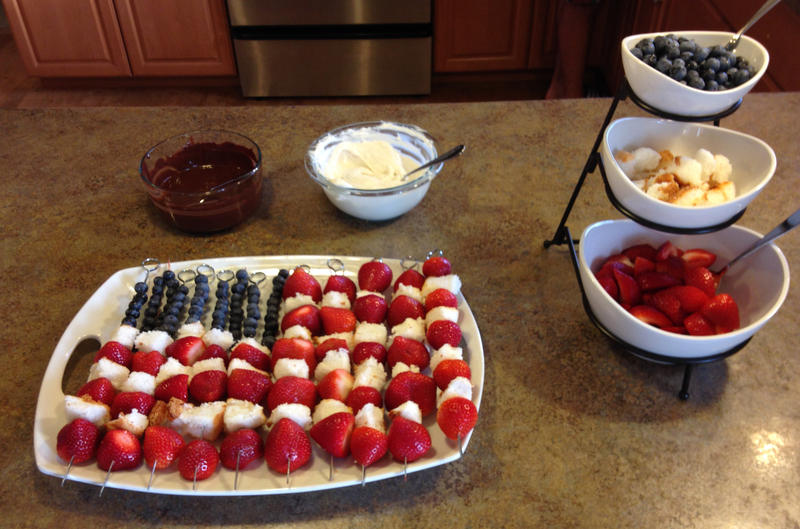 Arrange cake and berries on skewers as shown in the picture to create the American flag. Serve with chilled dip or melted chocolate and enjoy!